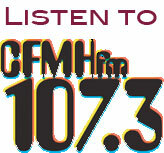 OCT 14/08: FEDERAL ELECTION: Vote or don’t complain! NOV 10/07: Sea Dogs at Harbour Station. Stop by the “Save UNBSJ” table. OCT 16/07: RALLY AND MARCH. Fredericton, 12 noon. OCT 15/07: Table outside the Baird Dining Hall collecting postcards and signatures on the online petition – all day. OCT 13/07: RALLY AND MARCH. King’s Square, Saint John, 12 noon. OCT 10/07: Public Forum on the Value of a University to a Community. 7:00 – 8:30 p.m. Germain St. United Baptist Church, 228 Germain St., Saint John. 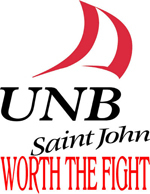 OCT 6/07: Supporters of the Save UNBSJ Campaign will be collecting signatures at the Kingston Market, for the third week.